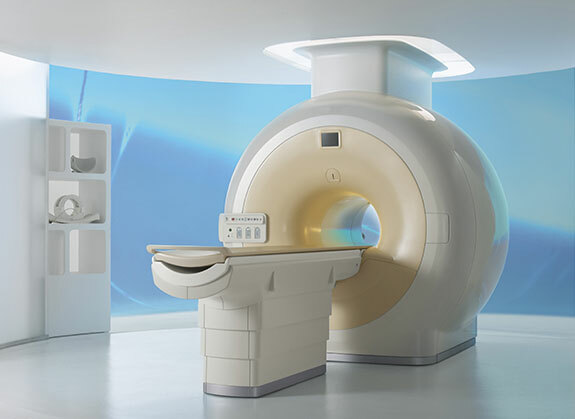 What is an MRI Scan (Magnetic Resonance Imaging)? 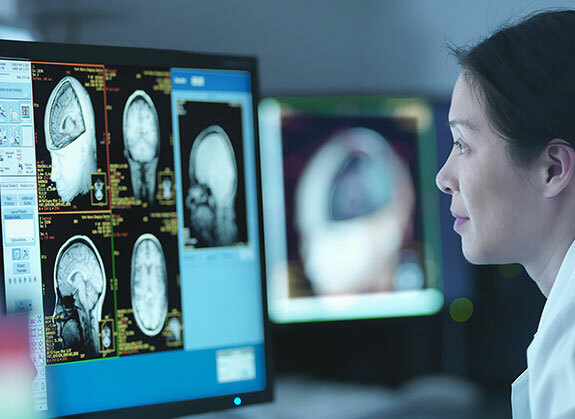 Magnetic resonance imaging (MRI), also known as nuclear magnetic resonance imaging, is a technique for creating detailed images of the human body. The technique uses a very powerful magnet to align the nuclei of atoms inside the body, and a variable magnetic field that causes the atoms to resonate, a phenomenon called nuclear magnetic resonance. The nuclei produce their own rotating magnetic fields that a scanner detects and uses to create an image. 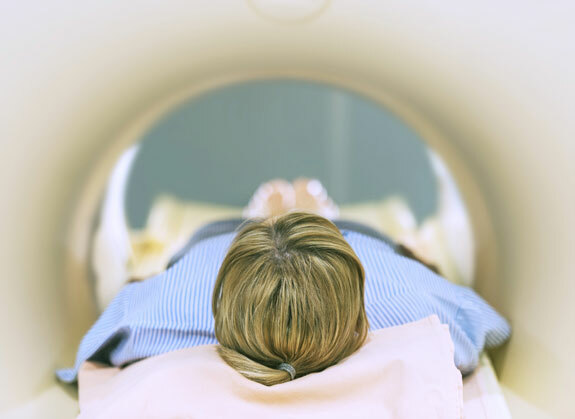 MRI is used to diagnose a variety of disorders, such as strokes, tumors, aneurysms, spinal cord injuries, multiple sclerosis and eye or inner ear problems. It is also widely used in research to measure brain structure and function, among other things. "What makes MRI so powerful is, you have really exquisite soft tissue, and anatomic, detail. The biggest benefit of MRI compared with other imaging techniques (such as CT scans) is, there's no risk of ionizing radiation. The patient lies inside a large, cylinder-shaped magnet. Radio waves 10,000 to 30,000 times stronger than the magnetic field of the earth are then sent through the body. This strong magnetic field causes the alignment of particles, called protons which are found naturally within the body, mostly in hydrogen atoms. Different protons send out different signals, depending on which tissue the proton can be found in. For example, a proton found in bone will emit a very different radio wave signal when compared to a proton found in blood.